RICCARDO LATTANZI is Assistant Professor of Radiology at the Faculty of Medicine of New York University (NYU) and of electrical engineering at the Polytechnic Institute of NYU . He serves also as co-director of the Ph.D. program in biomedical images at the Sackler Institute for Graduate Biomedical Sciences of NYU , where he holds the course Practical Magnetic Resonance Imaging 1 and is instructor for the course Medical Imaging. He received his doctorate (Ph.D.) in medical engineering and electrical engineering at the Division of Health Sciences and Technology at Harvard and MIT ( Cambridge, USA ). He holds a Master of Science degree in electrical engineering and computer science from MIT and a bachelor’s degree in electrical engineering from University of Bologna. Riccardo Lattanzi covered for three years the position as President of the Association of Italian students at MIT and founded the New York chapter of the Italian Scientists and Scholars in North America Foundation ( ISSNAF ) . Riccardo is Aspen Junior Fellow of Aspen Institute Italy, is part of the Young Leaders Board to the Concil for the United States and Italy, is Member of the IEEE Engineering in Medicine and Biology Society, is Member of the ISMRM and in 2006 was appointed Member of the Sigma Xi research honor society. 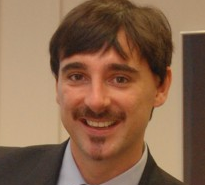 Riccardo Lattanzi is author or co-author of about 70 scientific publications. He regularly collaborates with the scientific editorial unit of the newspaper ” La Stampa” and with the online editors of “Il Fatto Quotidiano”. Moreover he writes for the Italian edition of ” Wired” magazine.